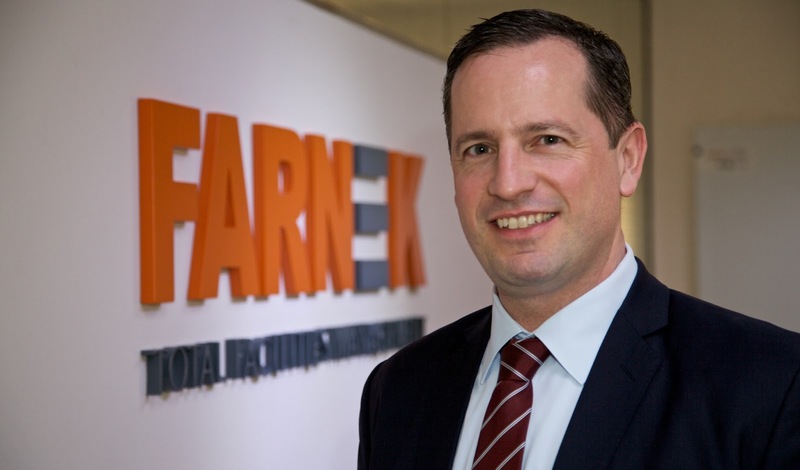 Hotel operators in the UAE are preparing themselves for a period of challenging trading conditions as Ramadan and the subsequent summer season become ever closer, according to Markus Oberlin, CEO of leading UAE-based FM and sustainability consultancy Farnek, who was speaking on the sidelines of Arabian Travel Market 2018, which opened on Sunday 22nd April. Seasoned UAE hotel managers know only too well, that generating revenue over the next few months will be challenging, especially given the increase in supply and the subdued seasonal demand, which generally results in softer occupancy levels and rates. Overall, Chris Hewett, director at TRI Consulting, estimated that RevPAR in 2018 could drop by as much as 7%, once compared with last year. Indeed, the latest Q1 2018 industry figures released by STR support TRI’s forecast with RevPAR down 2.6% and 4% in Dubai and Abu Dhabi respectively. One area could be waste management. On average UAE hotels send 1,200 tonnes of waste to landfill, half of which is food waste. That’s the equivalent of filling an average hotel room, every five days and works out to 8.5 kilos per guest, per night, compared with 1.2 kilos in Europe. And with Dubai Municipality introducing new tipping fees next month of AED 80 per tonne for general waste, it could become an expensive proposition. “During Ramadan the waste per guest, per night can increase by as much as 50%, much of it uneaten food and that’s against a backdrop remember, of lower occupancies and softening rates. A sound recycling procedure can reduce waste by 25%,” added Oberlin. Although occupancies may be low, due to the heat and humidity, energy and water usage increases proportionately. Guests often bathe more regularly and of course air conditioning temperatures, have to be lowered for longer periods, which all add up to higher electricity and water bills. “Using internet-based benchmarking software, such as Hotel Optimizer, hotel management can record their energy and water usage, benchmark their performance and identify potential savings. Currently, the average annual utility bill for a five-star city hotel in Dubai is around AED 7.5 million. It is not unusual for hotels to save 15-20% or put another way, AED 1.47 million,” said Oberlin. “Even simple devices such as A/C modules, LED lights and water aerators can dramatically reduce utility bills,” he added. One more expense that many managers simply can’t get away from is headcount and payroll. During Ramadan and the long summer months in particular, outsourcing can solve the problem of staffing a half-full hotel and, particularly during Ramadan, outsourcing can reduce costs in housekeeping and the F&B department, especially when only one outlet might be open during daylight hours. Offering extended or unpaid leave might work in some situations but finding a balance between permanent staff and a flexible cost-effective manpower solution is clearly the way forward. By some estimates, outsourcing can save hotels between 30% and 50% compared with the cost of hiring full time in-house employees. And because outsourced staff have invariably worked in multiple properties, they hold valuable experience. They are highly trained, fully qualified and can bring in new ideas, whether it be efficient work practices or responsible working habits. However, outsourcing is not the solution for all GMs. Many remain apprehensive about the impact on company culture and authenticity in service, while others are restricted by policies and procedures. But the evidence to counter these arguments is growing. “Outsourcing allows operators the flexibility to align staff requirements with guest demand, on a day-to-day basis if needs be, helping hotels regain control over their costs,” said Oberlin. يستعد مشغلو الفنادق في دولة الإمارات العربية المتحدة لفترة مليئة بالتحديات مع اقتراب شهر رمضان وموسم الصيف وفقاً لما قاله ماركوس أوبرلين الرئيس التنفيذي لشركة "فارنك" الرائدة في مجال استشارات الاستدامة على هامش فعاليات معرض سوق السفر العربي 2018 الذي افتتح أبوابه يوم الأحد 22 أبريل. وأشار بأن مدراء الفنادق المتميزين في دولة الإمارات يعرفون جيداً أن توليد الإيرادات المطلوبة خلال الأشهر القليلة القادمة سيكون تحدياً صعباً بسبب زيادة العرض وانخفاض الطلب بشكل عام في هذا الموسم، الأمر الذي يؤدي بالتالي إلى تسجيل مستويات أقل لمعدلات الإشغال. وتشير تقديرات كريس هيويت مدير "تي آر أي للاستشارات" إلى أن إيرادات الغرف الفندقية في العام 2018 قد تنخفض بنسبة تصل إلى 7٪ مقارنة بالعام الماضي. وفي الواقع فإن أحدث تقارير "إس تي آر" للربع الأول من عام 2018 تشير إلى تراجع إيرادات الغرفة المتوافرة بنسبة 2.6٪ في دبي و4٪ في أبوظبي. وأضاف ماركوس أوبرلين قائلاً: "قد يشهد فندق يضم 250 غرفة بمعدل إشغال يبلغ 80٪ وبمتوسط قدره ​​750 درهماً إماراتياً لليلة الواحدة، خسارة تصل إلى 3.8 مليون درهم في الإيرادات على مدار السنة دون حساب تكلفة تشغيل منافذ الأطعمة والمشروبات وضريبة القيمة المضافة ومعدل التضخم، ولذلك ينبغي على الفنادق تحقيق المزيد من الوفورات لحماية أرباحها دون المساومة على مستويات خدمة الضيوف". وتعتبر إدارة النفايات من أهم المجالات الرئيسية التي ينبغي التركيز عليها. وتنتج الفنادق في دولة الإمارات 1200 طن من النفايات في المتوسط نصفها من نفايات الطعام. ويبلغ معدل توليد النفايات 8.5 كيلوجرام لكل ضيف في الليلة بالمقارنة مع 1.2 كيلوغرام في أوروبا. ومع إعلان بلدية دبي عن تطبيق رسوم جديدة على التخلص من النفايات في مواقع طمر النفايات في دبي بدءاً من الشهر المقبل بقيمة 80 درهماً إماراتياً للطن الواحد، ستصبح تكلفة إدارة النفايات باهظة أكثر. وأردف أوبرلين بالقول: "يمكن للفنادق مراقبة وقياس أداء معدلات استهلاك الطاقة والمياه وتحديد فرص التوفير المحتملة باستخدام برامج قياس الأداء الإلكترونية مثل "Optimizer Hotel". ويبلغ متوسط الفاتورة السنوية لخدمات إدارة المرافق للفنادق من فئة الخمس نجوم في دبي حالياً حوالي 7.5 مليون درهم. ويمكن القيام بإجراءات بسيطة تتعلق بوحدات تكييف الهواء والإضاءة وأجهزة التهوية للتقليل بشكل كبير من فواتير الخدمات العامة". كما أن خدمات التعهيد الخارجي تساعد الفنادق خلال شهر رمضان وموسم الصيف من خلال الاستعانة بمصادر خارجية لحل مشكلة التوظيف وخفض تكاليف التدبير المنزلي وتوفير الأغذية والمشروبات. ومع ذلك، فإن الاستعانة بمصادر خارجية ليس هو الحل الوحيد لجميع الفنادق، لأنها قد تؤثر على مستوى الخدمة وتميزها.